This bear was definitely a highlight. 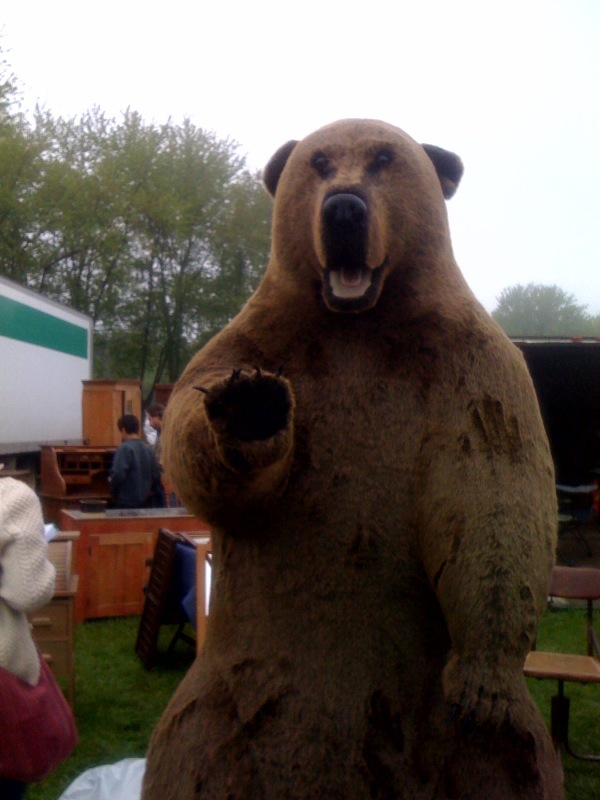 While not a real bear, it was about seven feet tall and constantly had people crowding around. 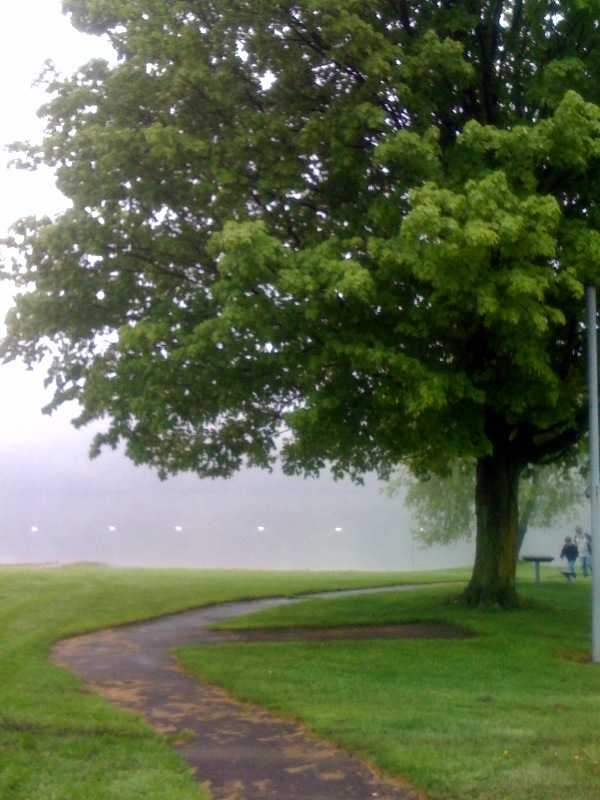 The Christie Lake Conservation Area is such an awesome venue. The day started out super foggy, but cleared up mid-day. Makes the crowds more manageable! 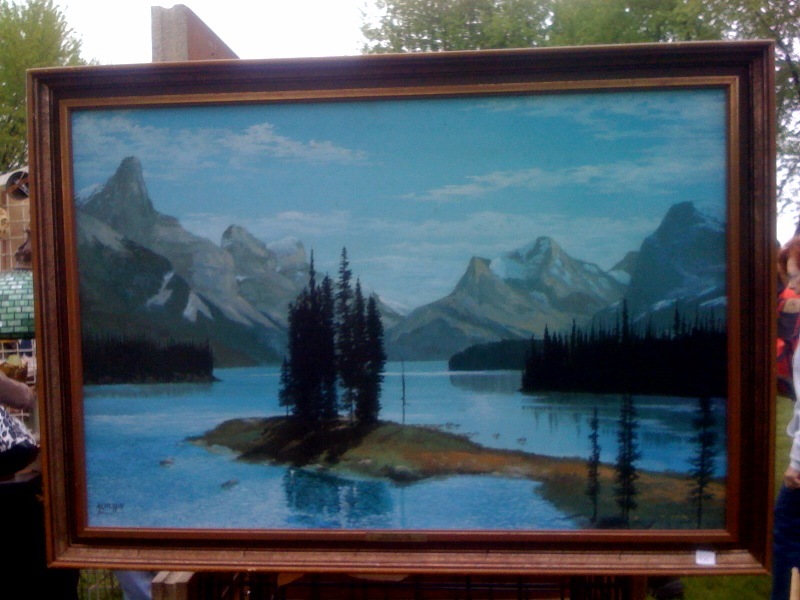 I loved the colour of this painting of Maligne Lake in Jasper. Such great memories of time out there made it tempting to want to buy this! 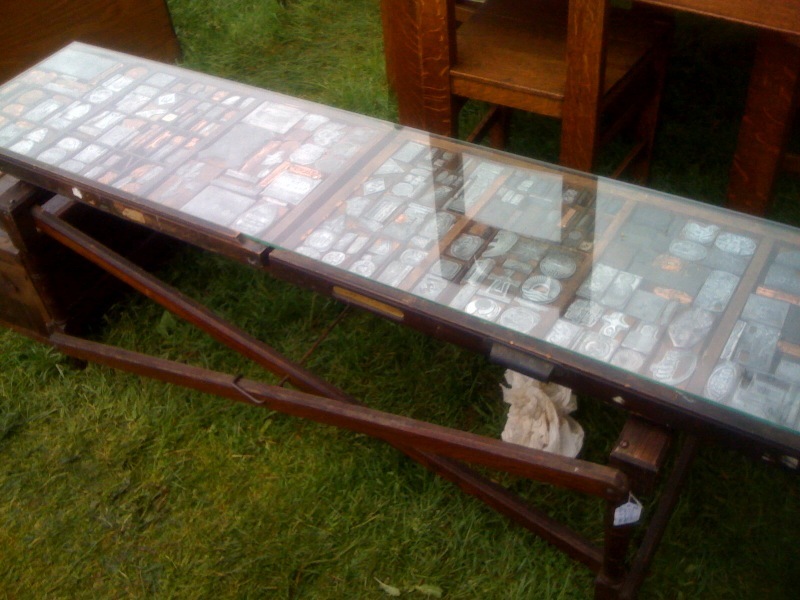 This table was a great idea for anyone who collects printing blocks like myself. And the one that got away... 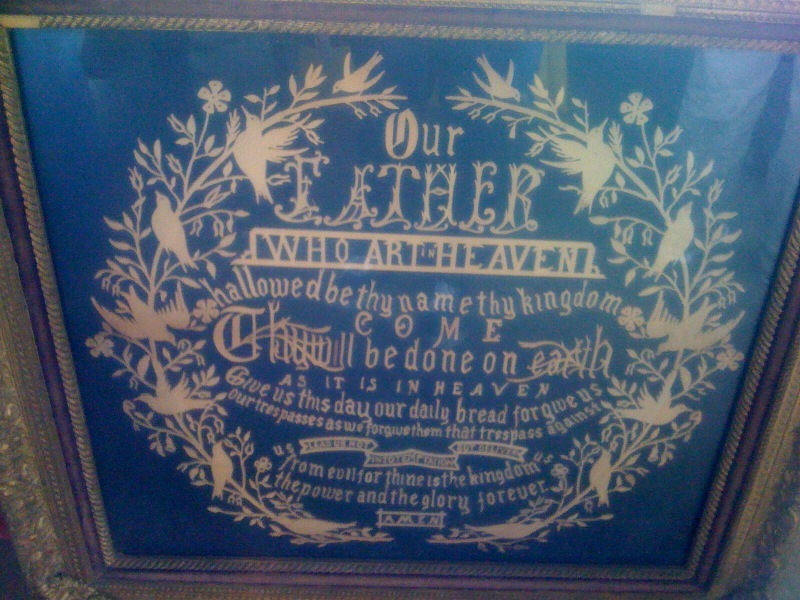 I fell in love with this circa 1890s hand-cut wood cutout of the Lord's Prayer, but had to walk away. It was huge and weighed a ton. I walked away with some great jewelry for the shop. I also grabbed an etched copper plate & beaded clutch for myself.